Welcome to this fresh article. In this article, strategies to increase Domain Authority is discussed. Website with high DA is easy to rank. In the other view, website with low DA is difficult to rank. So, website with high Domain Authority is better. Then how to boost DA? today let's learn simple strategies to boost Domain Authority. To learn all these, explore this article. Score of a website?, assigned between 0 to 100 is called Domain Authority or DA. It helps search engines to rank a site. DA is inversely proportional to difficulty in ranking. What is the minimum DA required to rank? Minimum Domain Authority required is 20. Site with 20 DA or more is easier to rank. Websites having domain authority less than this may face problem in ranking. What are the factors DA depend upon? Let's learn some Domain Authority boosting techniques. Follow there simple 4 strategy to increase DA. This Domain Authority boosting strategy will help in several ways. Ranking on Google will be easy. Earn by giving paid backlink. Let's explore there DA boosting strategies. Work on your ON-page SEO to increase SEO as much that on Off-page SEO. On WordPress use youst SEO plugin. Use tags, focus keyword, user friendly title, meta-description and SEO friendly permalink. Besides there make your article structure. Structured article is known as SEO friendly article. Also title Attribute of all tags must be used. 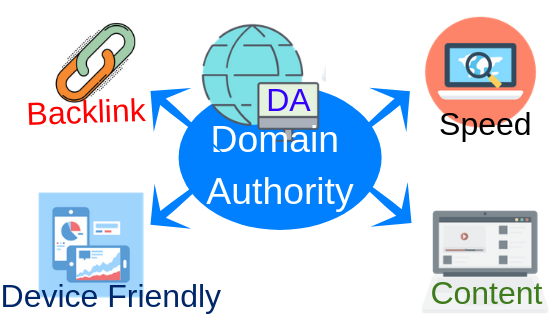 This is important factor for Domain Authority boosting. Work on Off-page SEO. For DA boosting, maximum focus should be on your Off-page SEO. 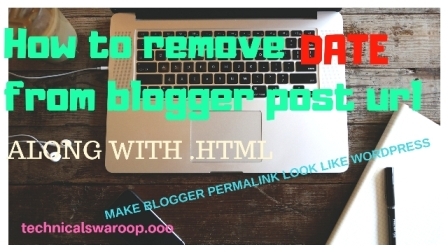 Make more high quality both do-follow and no-follow backlink. Keep 7:3 ratio between do-follow and no-follow backlink. Also focus on your social media engagement or SMO. Website's speed also matters for DA boosting. What is speed of a website in compare to it's competitant. Use google page speed analyzer. How much time takes to load your website decides your bounce rate. If the bounce rate will be low then Domain Authority high. If you have a website or blog. Check if the website is mobile friendly(or all device friendly) or not. If website is not mobile friendly then DA boosting is very hard. Let a visiter visit non-mobile friendly website. Then he will close it as it is not properly showing. This will increase bounce rate. Thus low Domain Authority. So focus on website design. In today's article, I have told you 4 tips to increase Domain Authority. I hope my DA boosting strategies will help you. Comment your doubt. Support us with your love in comment. Thank you. too resolve my problem. May be that is you! It's actually a nice and useful piece of info. I'm satisfied that you shared this useful info with us. I pay a quick visit daily some web sites and sites to read content, however this website gives quality based content. day. You cann't believe simply how much time I had spent for this info! Great blog you have here.. It's difficult to find high quality writing like yours nowadays.